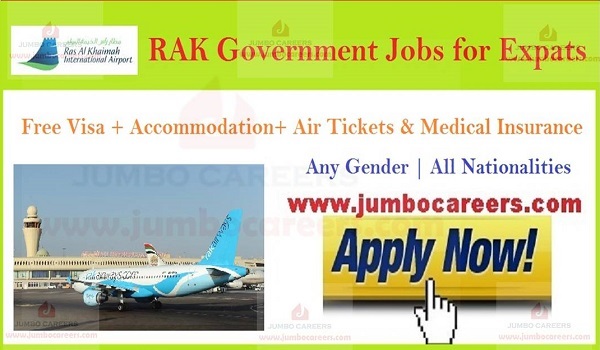 Ras Al Khaimah International Airport UAE hiring staff for various vacant positions. Graduates with experience can apply for the post. Its a direct recruitment by the company. About RAK Airport: Ras Al Khaimah International Airport (IATA: RKT, ICAO: OMRK) (alternatively Ra's al-Khaymah, is located in the Persian Gulf sheikhdom of Ras al-Khaimah, United Arab Emirates 11 nautical miles (20 km; 13 mi) south of the town of the same name. The airport was the second in the Cooperation Council for the Arab States of the Gulf to secure the ISO 9001: 2000 accreditation for quality management. Currently, Ras Al Khaimah International Airport is being refocused with efforts to attract cargo business, in particular from establishments under the Ras Al Khaimah Free Trade Zone.